I was fortunate to be a guest at your lodge with a group from North Carolina the first weekend in February. I was with the Rick Sykes / David Barber Group. I have owned a restaurant in Durham, N.C. for over 12 years. Prior to that I was Food and Beverage director for 8 years at the Jekyll Island Club Hotel, a 4 Star- 4 Diamond resort on the coast of Georgia. I know good service. I also know exceptional service. From being offered fresh rum punch cocktails upon our arrival to the waves goodbye from the staff on our departure, the service was 5 Star. Exceptional. I want to commend you for your efforts and your attention to detail. It is easy to cut corners and hope it will go unnoticed. You certainly do not cut corners on service at Casa Vieja Lodge. have any polo or tee shirts my size. The service provided before, during and after our stay at the Casa Vieja Lodge was outstanding! The staff exceeded the expectations of our students in terms of quality of food, accommodations and customer service. The Casa Vieja Lodge is no ordinary lodge…..its a 5 Star Lodge with impeccable attention to detail and customer service. The staff goes out of their way to meet your every need or request and they deliver the highest level of customer service possible. All details of the trip are handled by their highly professional staff, making this an easy fishing trip to plan. The food quality and presentation matches any upscale restaurant around. The captains and crew on the boats are courteous, highly skilled and have extensive knowledge of the fishing grounds in the area. 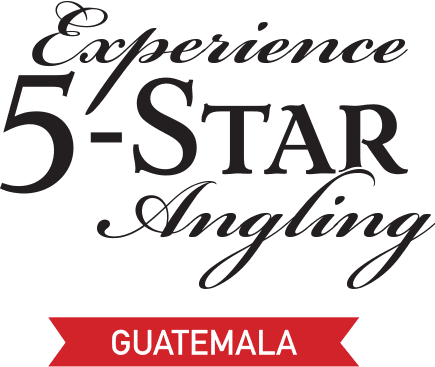 Casa Vieja Lodge should be your 1st choice when planning a fishing trip to Guatemala! It had been 7-8 years since I last fished out of the old Fins and Feathers Lodge. I can’t believe it has taken me this long to return. I’ve fly fished in alot of different places over the years (mostly with Capt Jake Jordan), I can honestly say that I’ve never had a better overall experience at any other lodge. between the incredible fishing, excellent captains and crews and superlative staff–it is one of the “must do” experiences for anyone who loves fishing. It won’ take another 7 years for me to return, in fact I’m talking to jake about returning in a few months. Here are some of the pictures from our trip. The total catch was 66 sailfish, 2 blue marlin and 2 mahi in three full days of fishing. December 7th was the day of the devil, so we had to blow-up some fireworks to cleanse our souls for the Christmas season. The volcano fields around Guatemala City are quite active, on the way from the lodge to the airport yesterday there were three different volcanoes blowing ash. The high day of fishing was 29 sails and one marlin which was Friday. Todd E. HanslikPatriot Wealth Management, Inc. I wanted to thank you for the great time that I had while at Casa Vieja with Jake Jordan and our editor, Mike Mazur. My degree was in hospitality administration and I worked for The Walt Disney World Company opening several of their resort properties including Disney’s Grand Floridian, Yacht Club and Beach Club Resorts and Disney’s Typhoon Lagoon. Your lodge, staff, boats, captains and mates were second to none. When you surround yourself with great people like Antonio, Capt. Chris Sheeder, Marijo, Freddie, Juan Carlos and Jake, good things are going to happen. I know the amount of training and the vision required to run a successful operation – and apparently so do you! Mike Mazur will be writing a historical piece relating in fly fishing for billfish off Guatemala. Casa Vieja will have a prominent place in the story. In almost 50 years as an outdoor journalist and 30 seasons producing television shows, my travels have taken me from the Arctic to the jungles and from Hawaii to Africa chasing fish of every description. Of all the places I’ve been, if you told me I could go back to Guatemala’s Casa Vieja Lodge, I would be on the next flight. Let me tell you why. Getting there is easy and when you arrive, the greeting you receive heralds the first class service you will receive every day you are there. The accommodations are excellent and the food is a delight. It’s only a very short drive to the marina where you will board a sportfishing boat that is fast and comfortable. The skippers and crew rank among the best you will find anywhere. And, the fishing is absolutely outstanding. There are no better waters anywhere in North or South America for catching sailfish. The number of fish you will raise staggers the imagination. Although I have been there several times and shot a number of television shows there, I’m ready to go back. If you haven’t been to Casa Vieja, come on down. You’ll never forget the wonderful experience. Gentlemen, I been numerous places in the world traveling, athletic events, hunting, fishing etc. and would rate Casa Vieja Lodge as one of the best for service, warmth and a sincere willingness to please. The word will be passed on. As I fished the area with my own boat I’ll sure to join the gang at least annually at the lodge.